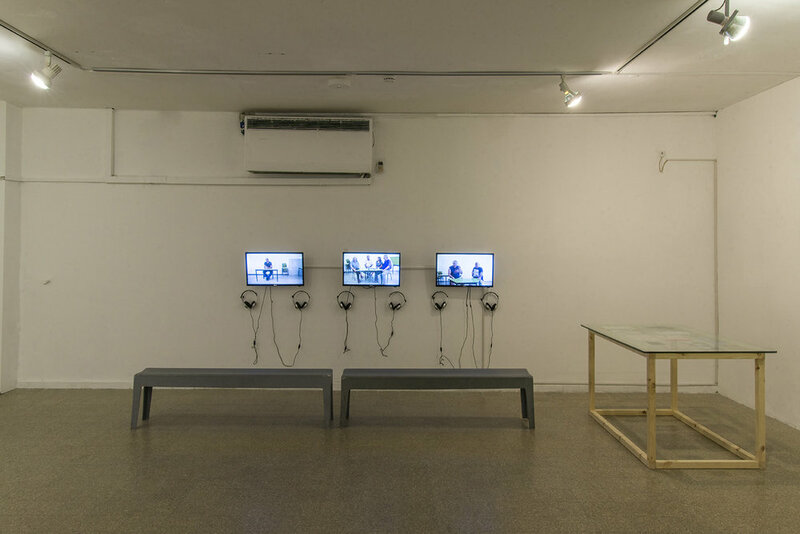 'Homeroom Class' is the culmination of a six months project at the Israeli Centre for Digital Art in Holon, Israel. It is the second iteration of The Complete Jessy Cohen Museum, a museum of a neighbourhood as told by its inhabitants. The project consisted of working with local groups in researching the histories of the Weissman School, a primary school which had operated in the neighbourhood from 1958 and was closed down in 2012. Through a process of shared remembering, the project explored the historical role of the school as a site of indoctrination into hegemonic citizenship within the Israeli melting pot. Site-specific collaborative screen print process with two groups of different ages. The textile work is based around objects made in the school's craft classes in the 60’s and 70’s. 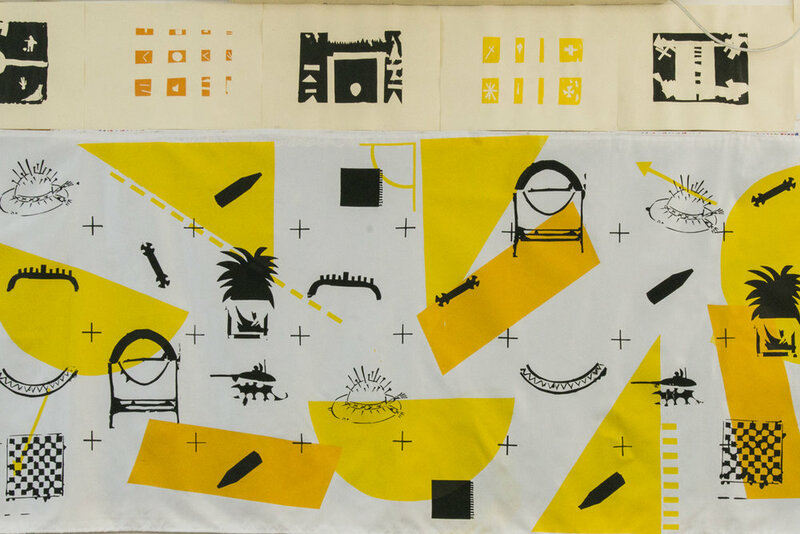 The objects were recovered through archival research and ‘remembering sessions’, and translated by the participants into silk screen stencils. The paper prints were made by the young people who are currently inhibiting the space of the old workshop. The work was shown at the location of the old workshops itself, now an after-school day care. An audio tour on the grounds of the former Weizman school which chronicles the school's history through the memories of its graduates and teachers. A Series of 'Remembering Sessions' were held and recorded at the school, some individually and some as small class reunions. The conversations and testimonies were adapted into three audio paths which explore different aspects of the school's past. Each recollection was placed according to its content, in a process of spatially mapping the school grounds based on the participants' memories. Photographs that were collected from former teachers and students generated a visual archive of school life.